The Perth Mint continues its successful Australian Koala series with a new design for 2018. The first year in the series with .9999 purity, this version will certainly continue the rich tradition of success of the series. Each year features a new design, adding the possibility of collecting .9999 fine silver content. The edition from this year has a limited mintage of 300,000 coins, making them much more collectible like gold coins. Contains 1 ounce of .9999 fine silver. Reverse: Portrait of a koala sitting on the branch of a eucalyptus tree surrounded by gum leaves. 'Australian Koala' inscription, 'P' mintmark of Perth Mint, the date of the year 2018 and the purity of .9999 are also shown in the design. Everyone around the world loves koalas, and now you can take home your own Silver Koala. 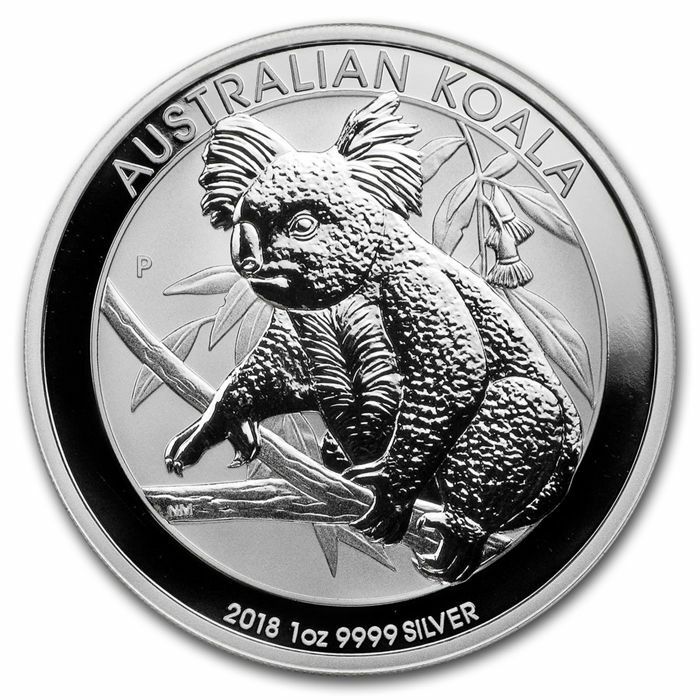 Add this 2018 1 oz Silver Koala to your collection today! 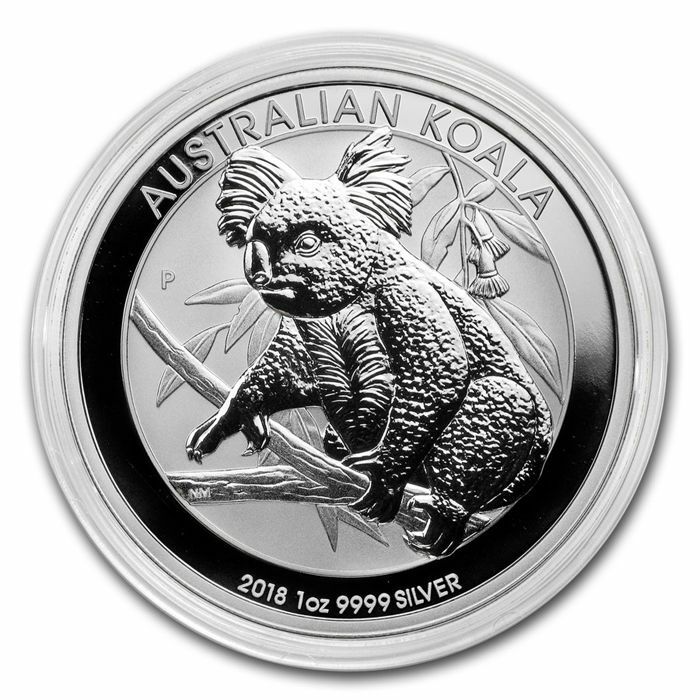 Starting in 2007, the Perth Mint introduced the Silver Koala series in gold and silver. Each year features a different design of this animal that is so closely associated with Australia. 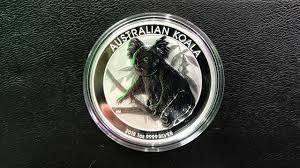 Australian Silver Koala coins are produces in sizes of 1 ounce and 1 kilogram, with the mintage of the 1 ounce size limited to only 300,000 coins. 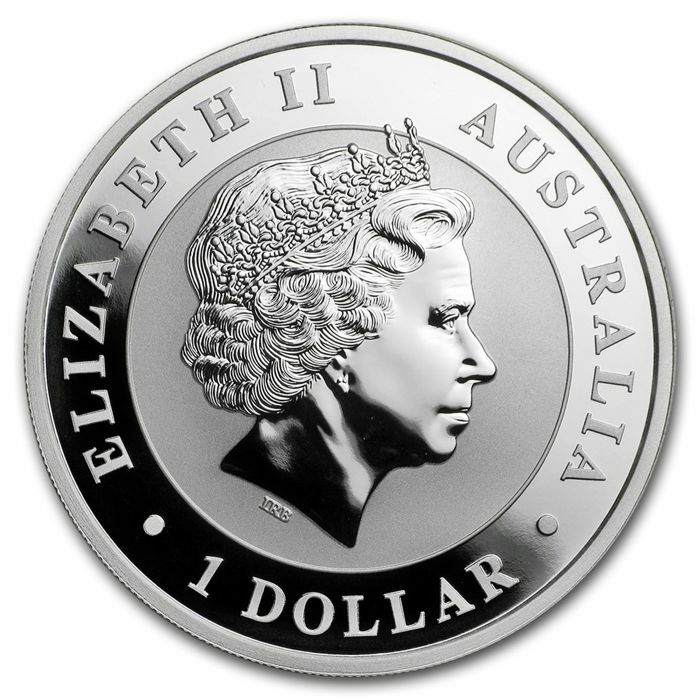 This makes the Australian Silver Koala one of the most collectible gold series. 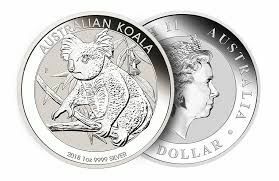 The Koala, along with Kookaburra, Lunar Series and Kangaroo, form what remains a robust line of high-quality products from the Perth Mint of Australia. When the first European settlers first encountered koalas in Australia, they thought that the animals that climbed trees were monkeys or bears. Although still referred to by some as 'koalas', they are actually marsupials like kangaroos and wombats. Koalas have special physical characteristics that complement their arboreal lifestyle. 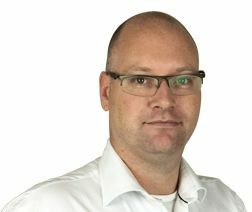 They are able to grasp twigs and gather eucalyptus leaves with their two opposing fingers, and their hard skin and sharp claws provide traction when climbing. They even have extra thick fur on their bottom so they can sit comfortably on branches for hours! Unique to Australia, these animals are a perfect theme for a series of iconic coins.